Victor started Vienna Vintner in 1998 and now with over 20 years in the business, he knows his wines and his customers quite well. He taste's all wines before purchasing them and is great at finding tasty wines at a great price for you! Victor is known throughout the community not only for his intuitive palate and customer service, but also for his collaboration with many local organizations in their fundraising efforts. Jacqui has been with Vienna Vintner for the past 6 years and is the full-time sho She is a Certified Sommelier through the Master Court of Sommeliers. She started out in the business over 12 years ago doing tastings for Republic National and Service Distributing and then moved on to working at Vino Volo and 2941 Restaurant. 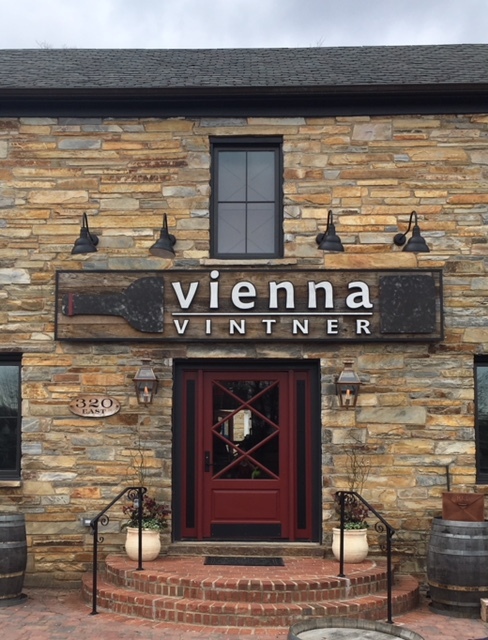 She has been in the retail wine side for 7 years and sets up and works many of Vienna Vintner's special events. She also hosts the monthly wine dinners around the corner at Café Renaissance. So if you want to enjoy a five course meal paired with wines, look forward to the dinners at 6pm on the last Wednesday of every month! Vienna Vintner is very lucky to have Kyle on our team. He is the most chivalrous and good-natured person you could meet and he brings a positively calming force to our shop. Many people may know him from Whole Foods in Fair Lakes where he was the wine buyer and beverage specialist for 8 years. While there, he worked not only in the retail shop, but also managed their Enoteca wine bar upstairs. Kyle completed the sommelier diploma program for the International Sommelier Guild in 2006 and is well versed on wines from around the world.